Y5/6 Kwik Cricket Group Winners! 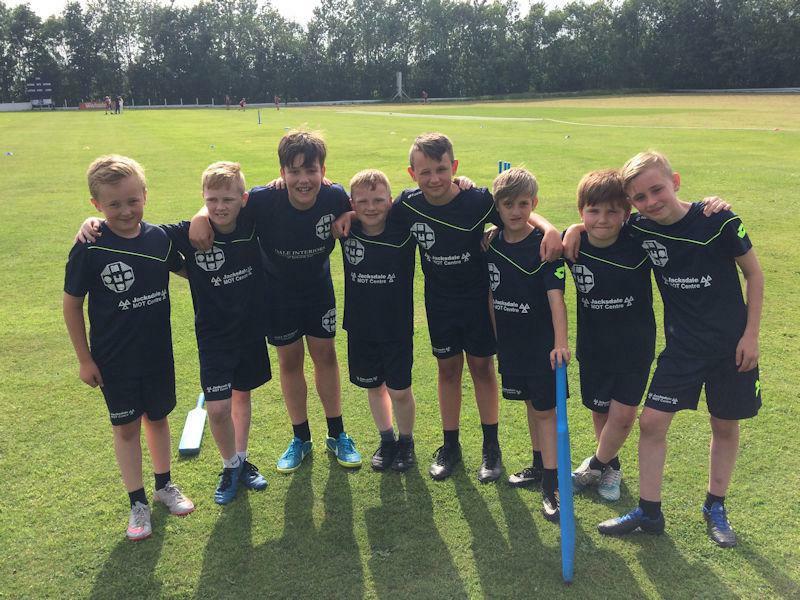 Last Wednesday our Y5/6 cricket team went along to Denby to compete for a place in the Borough Finals. We were put into a group with Richardson Primary ‘B’ team, who we beat comprehensively and Waingroves Primary with whom the competition was greater. However, in the game against Waingroves, the boys stepped up their game - put into bat first, they hit numerous fours and sixes to post a total of 158! When it came to fielding, if anything, they were even better - with great catches and out fielding to back up some accurate bowling. This meant that we restricted Waingroves to only a few runs overall. An outstanding effort from all the team and we will head to the Borough Finals this Wednesday to play our best cricket once again. Well done, boys!